Agroindustrial holding promagro includes THREE divisions presented in different branches. The main business involves agricultural segment and processing industry. Division "Agricultural industry" of PROMAGRO Holding is specialized in animal farming, meat processing, crop research and processing of grain raw materials. It is one of the largest pork producer in Chernozemye Region and one of the biggest meat supplier at Russian market area. Division "Textile industry" of PROMAGRO Holding implements a construction project for cottonized fiber production plant (modified flax fiber). The project involves building of the most contemporary flax processing plant in Russia. After reaching a full capacity, the plant will be one of the largest in flax processing in Russian Federation. PROMAGRO also has some assets in the area of construction, telecommunication and retail business. PROMAGRO Holding Management Company is located in Moscow. The main assets are represented in Belgorod and Leningrad regions. The textile industry is planned to develop in Smolensk region. We improve a food ration of our buyers by offering quality products. PROMAGRO is a socially oriented company, which develops effectively not only in business but is also involved in social life of territories where production take place. PROMAGRO build public facilities and carry out charity events. The holding donated to build the biggest in Belgorod region consultation office for village family physician in Rogovatoe. 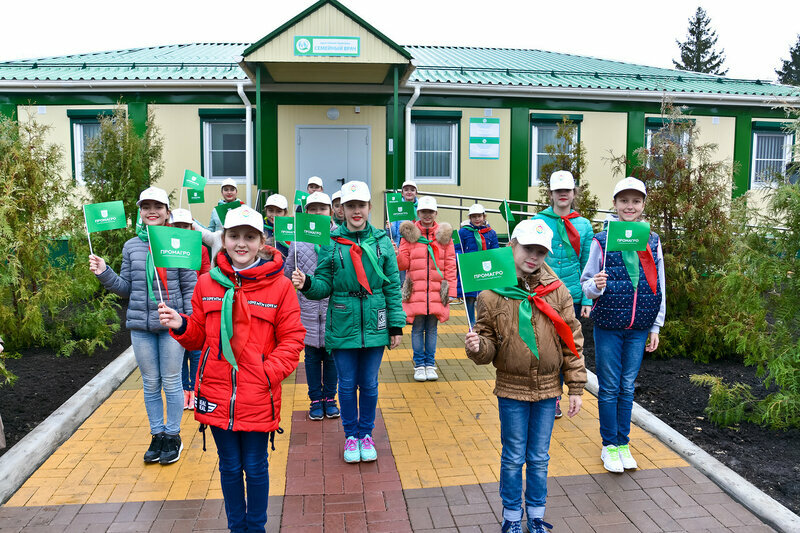 The company also took part in the construction of the Community Center in Arkhangelskoe village. For many years, there has been a regular financial support to Cadet Corps "Victoria" in Stary Oskol. The company gives special attention to the healthy lifestyle, physical training and sports for all. The CEO of PROMAGRO holding Konstantin Klyuka is the head of Supervisory Board of Belgorodskaya Federation of trampoline tumbling. Free daily trainings sessions are arranged for anyone at the contemporary PROMAGRO stadium in Stary Oskol. Investments in charity and social programs have been and always will be one of the priorities for the development of PROMAGRO Agroindustrial Holding.